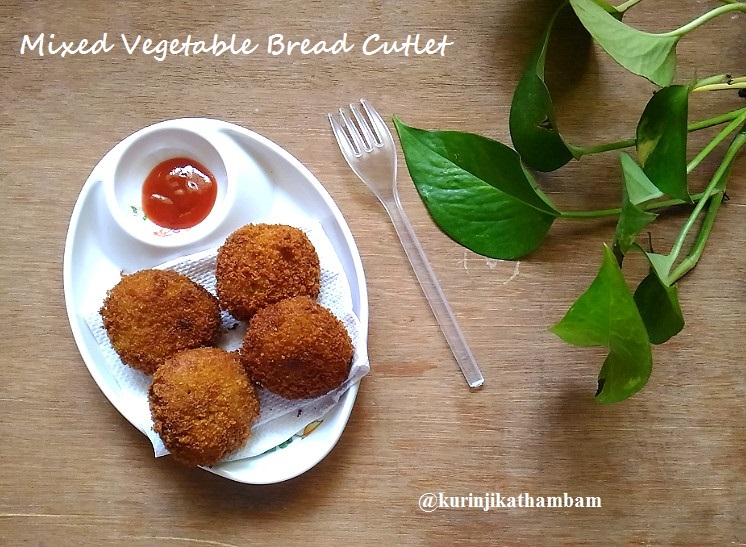 Vegetable Bread Cutlet is a cutlet variety that gives a very crispy outside and soft inside. 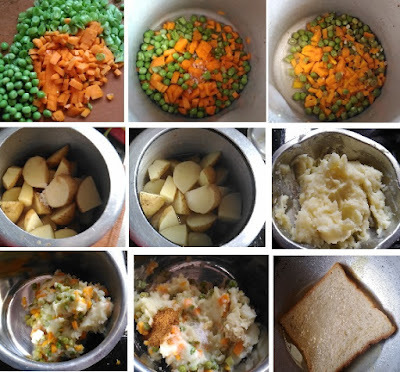 As it is a good mixture of vegetables, it is healthy for kids too. Another good aspect is that it consumes very less oil. 1. Peel the skin of the carrots and chop them into small pieces. 2. Remove the head and tail of the beans and chop them into small pieces. 3. Pressure cook the carrots, beans and peas with little water and little salt for one whistle in medium flame. 4. After pressure has gone, strain the water from the cooked vegetables and keep them aside. 5. Wash the potatoes and chop them into 3-4 big pieces and pressure cook with little water and salt for 3-4 whistle in medium flame. 6. After pressure has gone, strain the water from potatoes and allow it to cool down. Then remove the skin of the potatoes and smash them well with smasher or with your hands. 7. Now add cooked vegetables, ginger garlic paste, garam masala and salt with potato mixture. Mix them well and keep it aside. 8. Take 2 bread slices and dip the slices into the water. ( you can use vegetables cooked water) Squeeze the water from the bread completely and add with above potato mixture. Mix them well and keep it aside. 9. Mix the corn flour and water. If it is too thick add more for water for dilute. 10. Grind the remaining bread slices into coarse powder using the dry mixie jar. Then spread the powder on the plate. 11. Make small tomato sized balls from the potato-bread mixture. Then dip the balls into the corn flour water mixture. Do this step for all the balls and keep them in a plate. 12. Now rotate the balls over the bread crumbs till all sides of the ball coated with bread crumbs. Then gently press the balls in between your palms. 13. 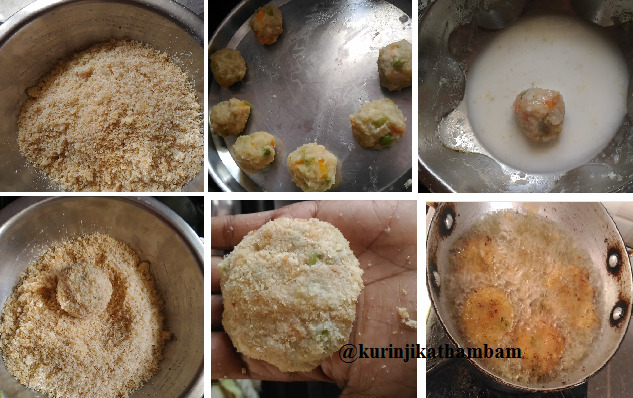 Heat the oil in a frying pan, deep fry the pressed cutlets till they become golden in both sides. Crispy and tasty cutlets are ready. Serve with tomato ketchup. 1. I have used normal bread but you can use wheat bread also. 3. I have added 2 bread slices with potato mixture, but you can add 1 0r 2 more till you can able to make balls. 4. I have deep fried the cutlets, but you can shallow fry or use dosa tawa to toast it. 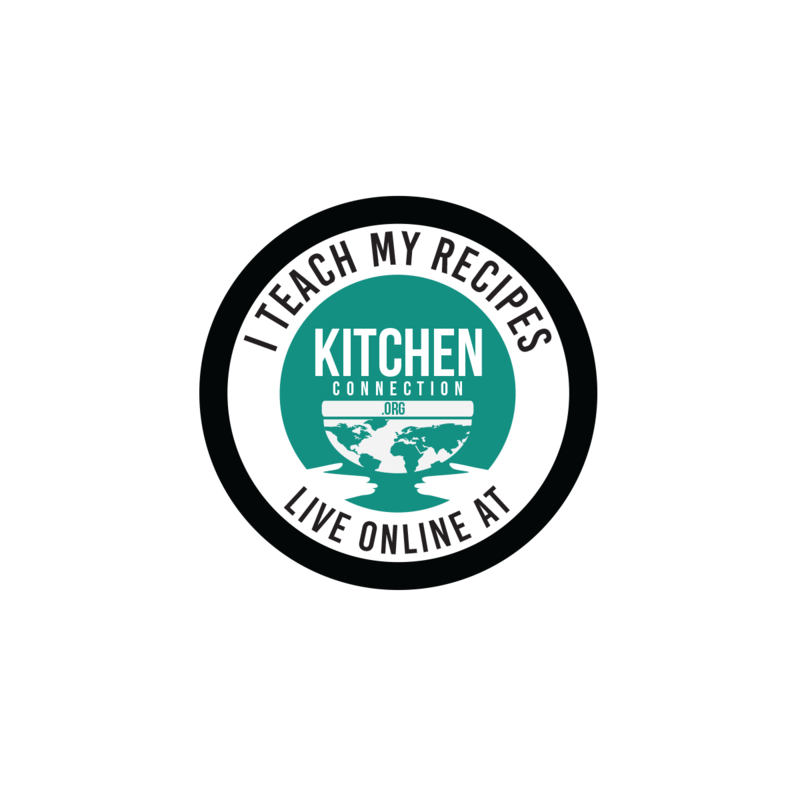 Click here for more bread recipes.